When you visit our winery, it is more than a tasting and you are more than a guest. You will join either Michael or Palmer (or both) for the entirety of your visit and immediately become part of our extended wine family. We will share with you the story of our journey through the world of wine, and pour a variety of selections from our portfolio, many of which are only available at the winery and to our wine club. You will relax on our beautiful stone patio overlooking the vines, and enjoy a selection of local cheese paired with the wines. If you wish, we can take an informative tour through the barrel room or out into the vineyard to gain a more detailed understanding of our artisan production methods. • We can accommodate groups of up to 8 people and prefer that you arrive in as few cars as possible with a designated driver – we can recommend a great local wine tour driver. • Our tasting fee of $25 per person is waived with the purchase of 3 or more bottles or a wine club membership. • You are welcome to bring a picnic and enjoy your lunch while you taste. 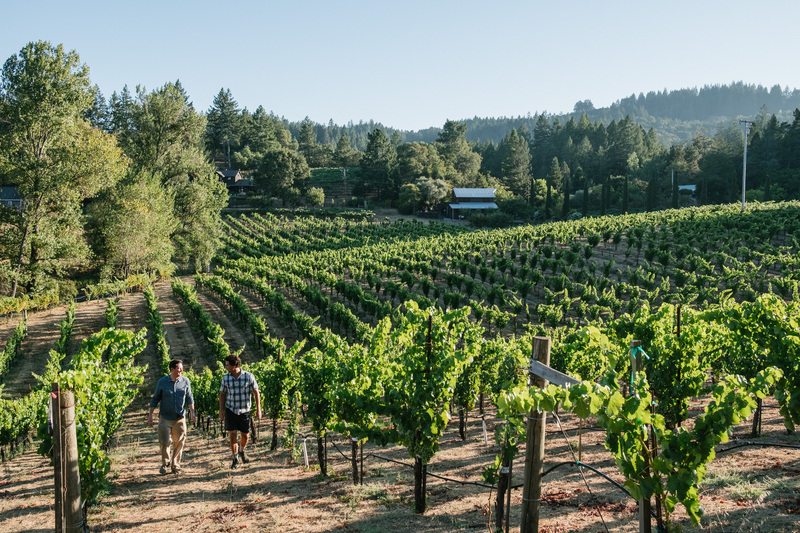 Our passion for wine runs deep, and that is reflected in the wide variety of wines we produce from different varietals and vineyards spanning the full range of Sonoma County and Napa Valley. Guests can request in advance which wines they’d like to taste from our array of offerings, or let Michael and Palmer be their guides. Cabernet Sauvignon (from vineyards in both Napa & Sonoma), Sauvignon Blanc, Malbec. Pinot Noir, Chardonnay, Grenache Blanc, Syrah, Grenache, Roussanne, Viognier, Rhône blends. 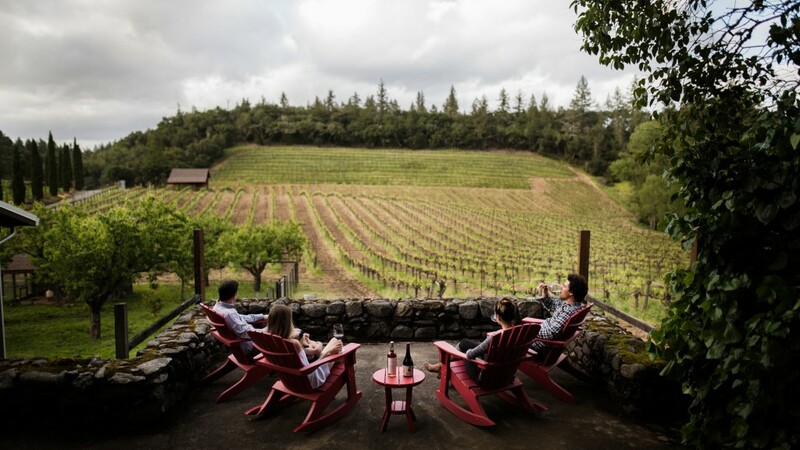 From West Dry Creek Road, turn onto Brack Road, then continue up the hill for one mile, staying to the left at every fork, until you arrive at our two winery barns after the vineyard and Cypress trees.